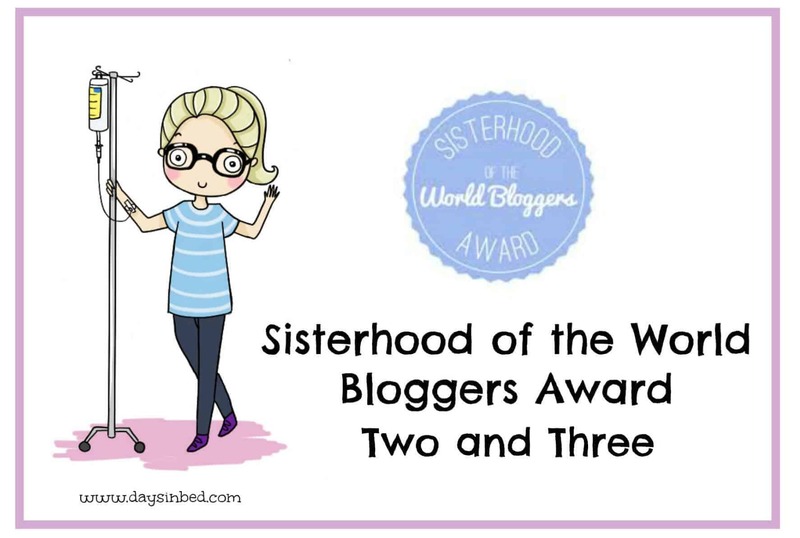 Last week I was nominated for the Sisterhood of the World Bloggers Award. I’ve already been nominated for this once in early 2015 and was nominated again on the same day by both Mummy Melton over at The Melton House and Lisa at Mumma Scribbles and because I enjoy these type of posts. I decided to combine the 20 questions and answer them all. 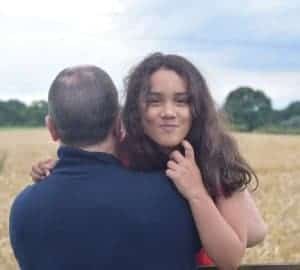 I originally started as a way of recording my family life as a kind of Journal but also to share my experiences as a mother who is chronically unwell, raise awareness for Adrenal Insufficiency and stand up for what I believe. Ha! I have tons. You should read my blogging goals for 2016. I guess the main one is to build my views and following on all social media. What’s your favourite thing to do when you aren’t blogging? I love shopping when and if I’m well enough. Well I don’t drink alcohol but my non alcoholic cocktail is the Gentle Breeze from Frankie and Benny’s. If you won the lottery would you go public or keep it private? Private. Then I could choose how to use it and help others without being bombarded. I also wanted to be a Mother and have 8 children. Which is your best blog post? My most successful post is 15 Facts About Addisons Disease. Would be a meal at a restaurant and going to the Theatre. I love the Theatre. I know it’s early, but what has been your favourite moment of 2016 so far? Getting Published on the Mighty and then finding out I’d been published a second time in the same day. What is your favourite guilty tv programme? I love watching Cold Justice a real crime TV series. If you had to go a day without either your phone or your laptop, what would you choose. If you won the lottery, who is the first person you would call? Who are your three favourite bloggers? What is your choice of topping on pancakes? Would you prefer to live in the countryside or the by the sea? If you could go back in time, what is the one thing you could tell future yourself? To fight back and stand up for myself and say No more often! Well as I’m about to have a Gastric Bypass I kind of consider that my last supper. I had smothered chicken with bbq sauce, cheese and bacon, fries and chocolate mouse. Tell me an interesting fact about yourself! 4. Who are your three favourite bloggers? 5. If you won the lottery, what is the fist thing you would buy? 6. What was your first car and did it have a name? 7. Would you prefer to live UK or Abroad? 8. One thing you would tell your 18 year old self? 9. One goal you have for your blog? 10. Biggest Achievement so far in life? Thanks Rachel. It is a good way to learn more about each other thats for sure! Thanks. It is a fun post to write and I enjoyed writing mine. This is a really cool idea! I love reading these kinds of things on Facebook. Although I’m feeling kind of peckish and I think your last meal description has sent me over the edge haha! thanks. Oh at the moment im on a liver shrinking diet and the talk of food is driving me crazy! lol! Aw you have done so much to be proud of hun! You completely deserved to win the award last year because you work so hard and despite your limitations you carry on as normal well done ! Great post, I love reading about the people behind the blogs I read. I’ve never tried treacle on pancakes, I must try that tomorrow! oh thanks for popping by! I will be trying to have savory style pancakes from now on as i have a operation and wont be allowed sugar anymore. This is a wonderful and fun thing to do, I love the questionnaire and it’s nice to know a little about you. I still want to congratulate you and I wish you many more opportunities. Thanks Ana. I appreciate you popping by and taking the time to comment. These are fun! I totally agree. They are a fun way to get to know each other and I enjoy taking part too! I love reading these posts, it’s so interesting to read about people. I am so nosey! You have had an amazing year blogging and you have achieved so much and I just know that this year is going to be even bigger for you! Thankyou. This is a great award! I agree. I’d have loved that many kids had my life gone as id planned lol! I agree countryside is good and you can go to visit the sea. Good luck with the Gastric Bypass Angela – will be thinking of you! I love your questions, my first car was a white nova called Nora the Nova! Thanks Laura! Boy I have so much to say about Tonga. I could write a book on it!